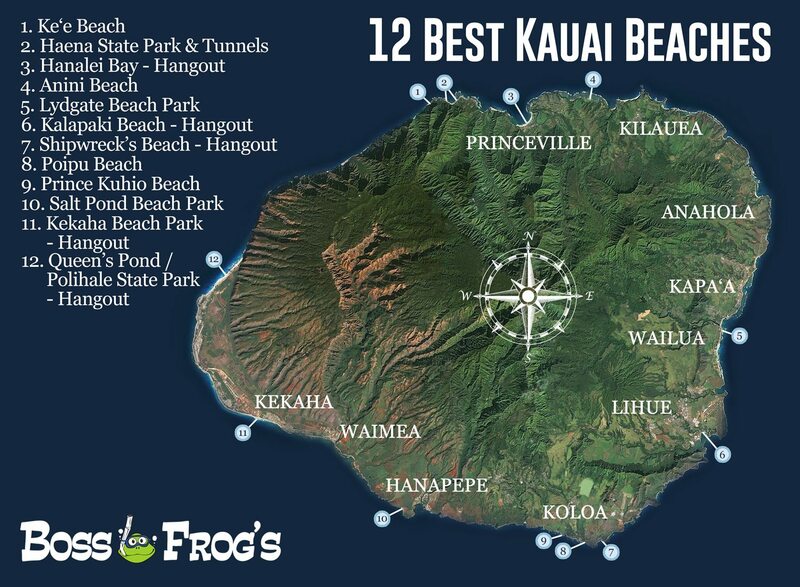 12 Best Kauai Beaches | Videos, Photos, Snorkeling, Facilities & More!! Ke’e Beach is one of the last Kauai beaches reachable by car. You’ll find calm summer snorkeling (but strong currents the rest of the year), stunning views of the Na Pali Coast, and a great stretch of sand to stroll along. This is also the beginning of the Kalalau Trail. If you hike up just a little bit, you’ll be treated to amazing views of Ke’e Beach from above! There are lifeguards, restrooms, and outdoor showers at this beach. Come early for the best parking. Haena Beach Park is simply beautiful and wild, yet lifeguards, picnic tables, and restrooms have been added to the sandscape. What more could you ask for? Cave exploration, you say? No problem! There is both a dry cave and wet cave within a mile of each other nearby. And how about fintastic snorkeling? You’re in luck, because Tunnels is just a mile walk down the beach! Summertime is the best time to snorkel this famous site. That is when the waves off north shore Kauai beaches are calm enough to accommodate all snorkelers, even beginners. The rest of the year, the waves may be great to look at, but not so much to get into. Ask the lifeguards and check kauaiexplorer.com for daily ocean conditions. Enjoy! Hanalei Bay, a family friendly beach, will likely surpass any natural beauty you have ever seen. Magnificent mountains and fine white sand frame two miles of turquoise water. The Waioli Stream feeds the bay to the north, and small boats travel to and from the pier to the south. The place is just stunning! Swimming can be nice here, but unlike many Kauai beaches, there is no reef. Don’t bring along your snorkel expectations (or gear). Surfing can also be wonderful. It all depends on the ocean du jour, so always ask the lifeguards before jumping in. Hanalei has most of the facilities necessary for a great relaxing day – even volleyball nets! Anini Beach, on the north shore, can be an excellent Kauai snorkeling site. 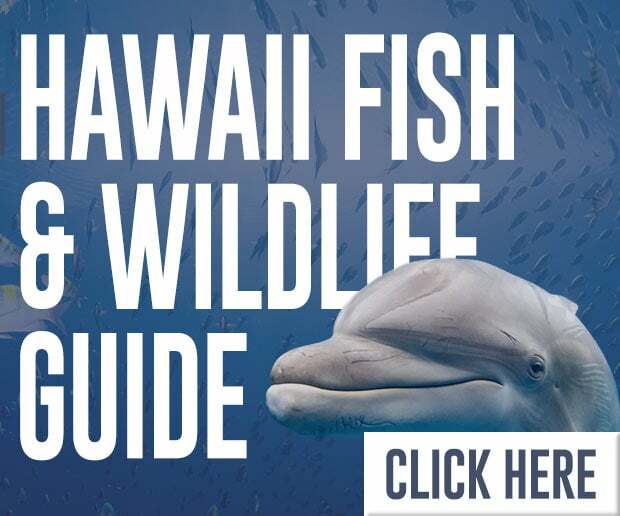 It is easy to get into the water, and most of the fish and sea turtles are 60 yards off shore. If you are practicing being in the ocean with snorkel gear, the shallow area just off the beach is great for that. 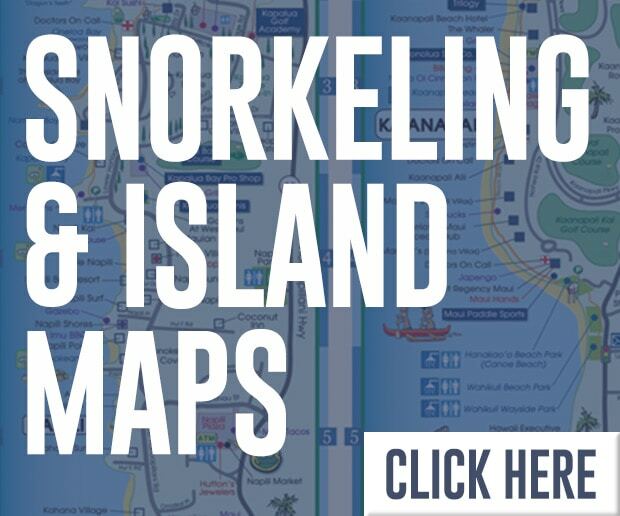 The snorkeling is good here all year round. When other north shore Kauai beaches are too rough for swimming, the fringing reef at Anini keeps the water calm. The beach is kid friendly and can be an enjoyable place to relax and get a little sun. You’ll find restrooms, picnic tables, and huge, spreading trees. A small boat ramp sits at the north end. There are no lifeguards on this long, narrow beach. 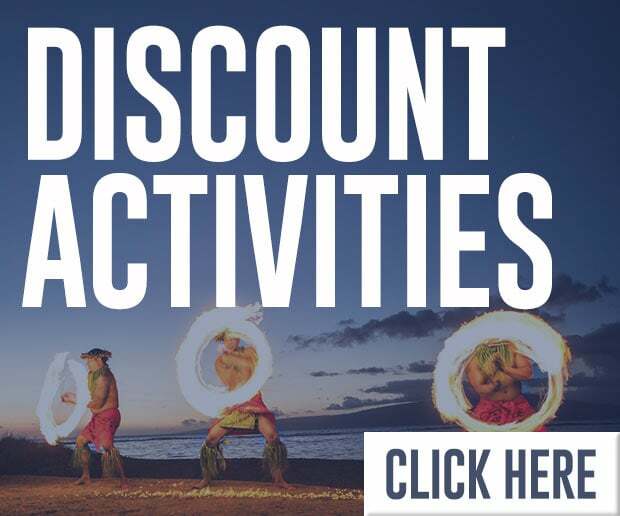 Lydgate Beach Park truly has something for everybody! This Kauai snorkeling site is super fun, and suitable for first timers. Lifeguards watch over everyone at this beach. There is a separate wading pool of ocean water, and the huge Kamalani Playground is located here. No other Kauai beaches have a playground of this kind! Kamalani has all kinds of climbing and swinging equipment, and there are tables painted with chess boards. (There is a chance you can wear out all the kids, including yourselves!) There is also a huge reef fish identification chart right at the entrance to the beach. Picnic tables are everywhere, and other amenities abound. Not far from Lihue Airport and just outside the Marriott, Kalapaki Beach boasts some of the finest sand on Kauai. Snorkeling in Nawiliwili Bay is not good, but swimming can be nice if the water is clear. Go to sun yourselves, play volleyball, and watch the sunset. There are walking paths set just off the sand where you can enjoy shops, restaurants, and the opulent architecture of the resort. It is especially beautiful to see the Marriott and its pools lit up at night. Kalapaki Beach is not far from where the cruise ships come in at Nawiliwili Harbor. If you are on the east shore when the sun is going down, this is one of the best Kauai beaches for sunset watching. Shipwreck’s Beach is a beautiful spot right outside the Grand Hyatt Resort. It usually hosts fewer people than other southern Kauai beaches. You’ll have a great time relaxing on the sand, as there is no swimming or snorkeling here. There are no lifeguards, either. Conditions can be great for bodyboarding, but only locals should get in the water. The large waves can surprise you, even when you’re standing on the sand. I once saw a woman on shore get knocked down, and she was facing the ocean! (She also got right back up, which was great.) There is a high and beautiful cliff on the north end. Be safe, and have a great time at Shipwreck’s! There is no shade, so remember to rent a beach umbrella from Boss Frog’s. 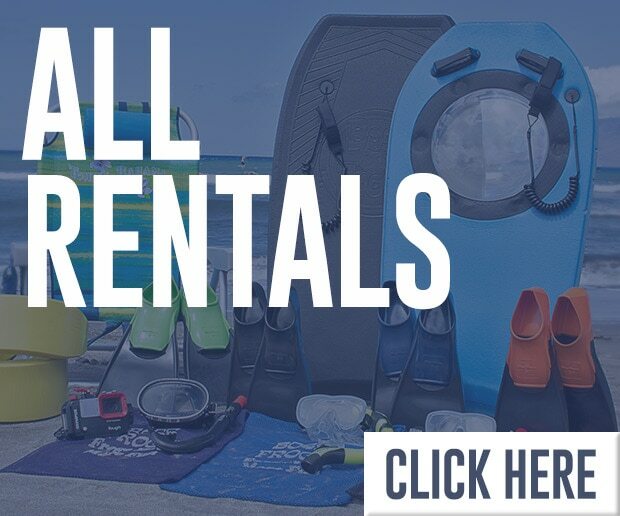 Poipu Beach Park has everything you need for a day at the beach, including great snorkeling! For visitors, Poipu is one of the most popular Kauai beaches. Waves gather their power and break just outside this medium sized, generally sheltered cove. On land, you’ll find some lawn as well as sandy beach. You can get some sun, cook some food, and splash about in the sea. And talk about the simply blue ocean view – free and clear to the horizon! If the waves are calm and the tide is low, you can also walk to the left for some fantastic tide pool exploration. Prince Kuhio Beach (also known as Lawai Beach) is small, but it packs a great punch when it comes to snorkeling! There are all kinds of colorful fish in this cove just beside the road. 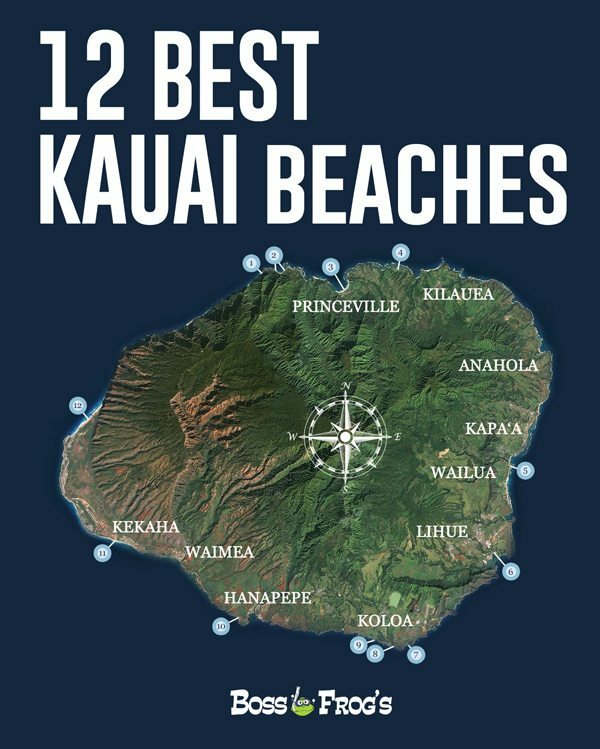 This is not one of the best Kauai beaches for hanging out, but it’s perfect for focused fun in the water like snorkeling, surfing, or bodyboarding. 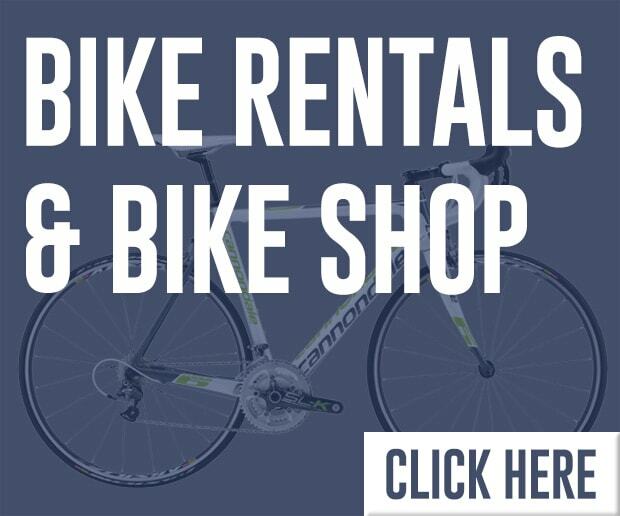 You’ll find basic amenities across the street. Getting in is tricky, and the beach has little sand, so it’s not family friendly. Come here in winter, when the waves are small. There is no lifeguard here, but there is a Boss Frog’s and a great restaurant next door. 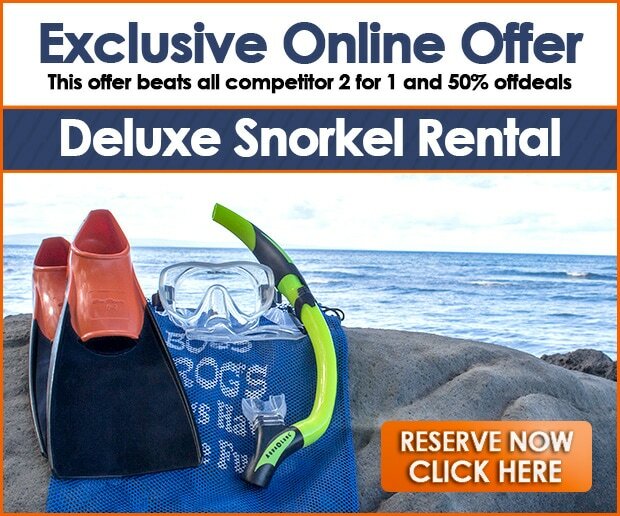 You’re sure to find all the snorkel gear and delicious meals you’ll need! 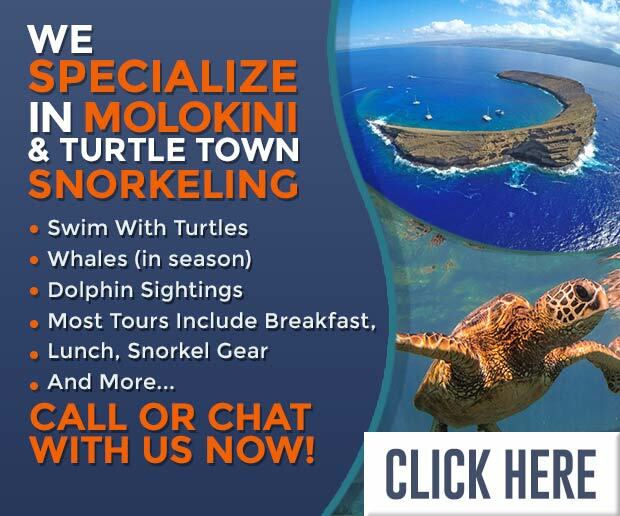 Beginning snorkelers and families will love Salt Pond! A reef just off shore protects the swimming area from the brunt of larger waves. Colorful fish swim among the algae-covered boulders along the outer edge. Like all south shore Kauai beaches, snorkeling is best here in winter. You can take a whole day at this beach park – there are picnic tables and grills, and plenty of space to run and play on the sand and on the grass. Lifeguards are on watch, and parking is easy! There aren’t many trees, so be sure to bring your own shade. Salt Pond is so named for the Hawaiian salt collection ponds in operation just to the north. When it comes to Kauai beaches, this one is likely the most deserted. Imagine being on your own, with the nearest fellow human seemingly miles away. Except for the lifeguard, this is the experience of Kekaha Beach Park. There is no shade at Kekaha, unless you’re using one of the few picnic tables. “There’s sand to the left, sand to the right, and you’re the only one in town!” (Thank you Jimmy Buffet, for that direct shoreline inspiration. I switched out the words to Buffet’s song “Fins” for that last sentence.) It takes some time and energy to walk through the soft sand to end up near the water. Do NOT go into the sea here – the waves are too dangerous. Come here to relax on a huge amount of sand, and to witness the Pacific Ocean in an outstandingly riotous mood. You can also watch the water birds pick their way through a small, quiet wetland near the road. One of the more remote Kauai beaches, Polihale has incredible views of the west side of the Na Pali cliffs, the island of Ni’ihau, and the waves of the Pacific. The ocean here is not safe for swimming – at least near the Queen’s Pond area – but it is wondrous to see. It is surely worth the extra hour or two of travel by bumpy road. The Queen’s Pond itself is a natural phenomenon that is only there sometimes. When this shallow sandy bowl of water is present, you’ll have the perfect place for swimming or wading! There are no facilities near Queen’s Pond.